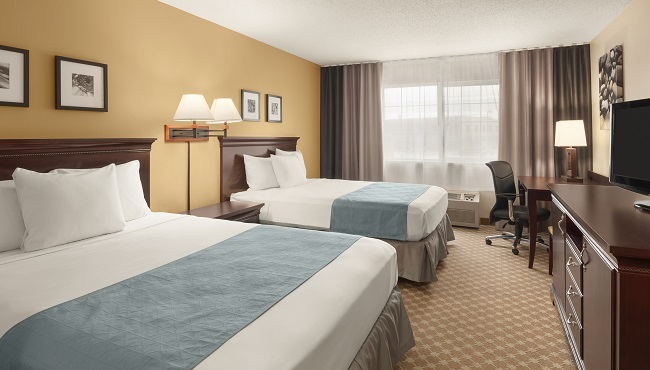 After exploring Sioux Falls with your family or catching up on work, unwind in a comfortable room or suite at the Country Inn & Suites, Sioux Falls, SD. Ease into the evening by watching your favorite HBO show, or hop online using free Wi-Fi to post pictures of your day. If you’re craving a late-night snack, order room service from our on-site Falls Landing Restaurant. Burrow into cozy down bedding and pillows at night, and in the morning, take in views of the Big Sioux River from your window while you sip a cup of coffee. Share your travel experience with a friend when you book a Standard Room with two queen beds. Traveling alone? 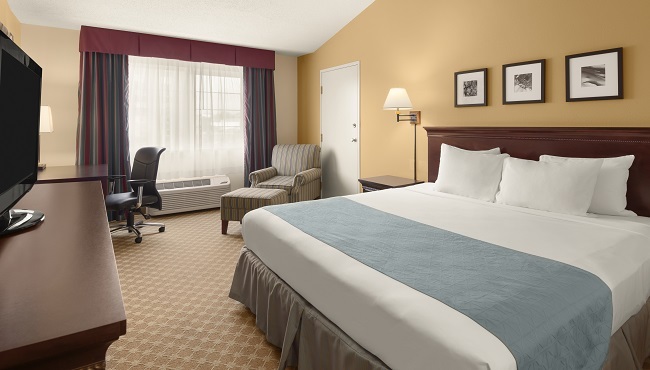 Take advantage of a Standard Room with a spacious king bed and enjoy all standard amenities. Spark romance in our Whirlpool Suite, which features a private in-room whirlpool tub. With an in-room refrigerator and microwave, spending the day indoors has never been more convenient. Need more room to spread out? 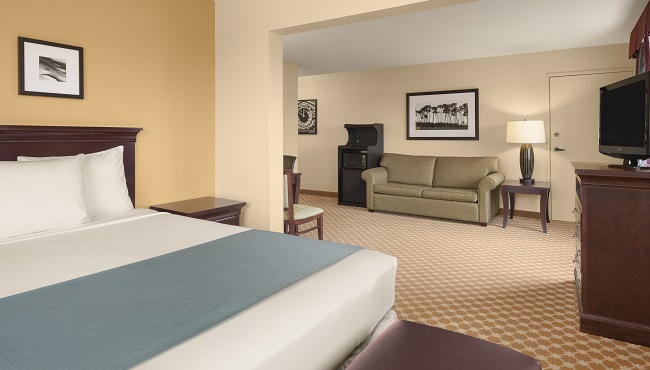 Our spacious Family Suite includes a separate living room with a pullout couch as well as a microwave and refrigerator. Guests enjoy a queen bed and all standard amenities.